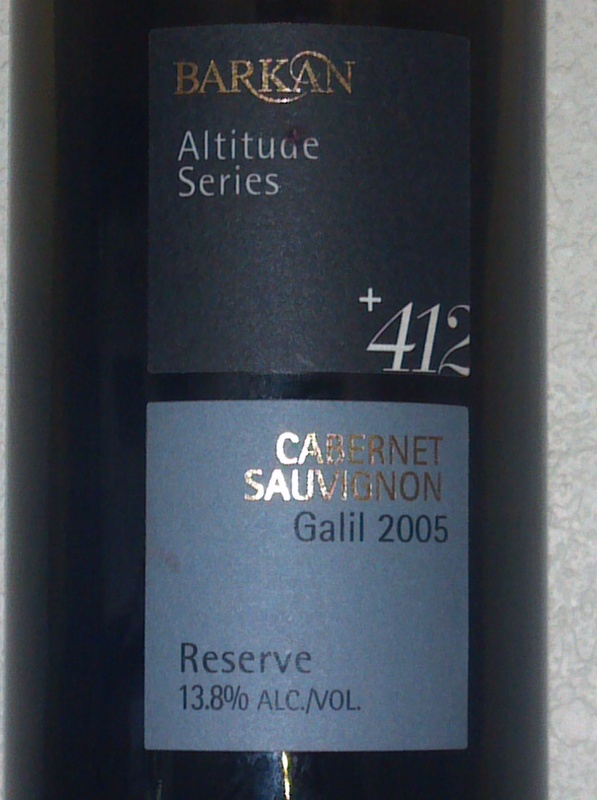 This past weekend I tasted the 2007 Barkan Cabernet Sauvignon, +624, Altitude Series, and the last time we had it I loved it! This time the wine had flattened out and became more uni-dimensional than before. Still, it is a nice wine, but the dates are taking over and the wine, though it had dates before, has lost a bit of its complexity. The wine is ready upon opening, though a quick hit with the vinturi takes a bit of the sweet edge off. The nose starts off with deep black fruit aromas, followed by black plum, licorice, dark cherry, along with sweet herb, and spice. The mouth is overly sweet with clear date, and raisin notes, followed by intense blackberry, cassis, along with layers of rich cedar and integrated tannins. The finish is long and sweet with hints of bell pepper, vanilla, bakers chocolate, and mounds of fresh leafy tobacco. The acid balances out the wine nicely and allows for the date to not totally overpower the wine. Drink within the year. I hope you all are enjoying your Hanukkah holidays. This past weekend I enjoyed meals with my family and friends that were lovely and quite Sefardic in nature. The flavors were deep and filling and the tones were rounded with good herb and spice. These are flavors I try to hit in my dishes from time to time, but have been missing for sometime, partially because I do not have all the spices and partially because I do not still know all the recipes – I am working on that. Sorry about the short notes again, but since I did not cook, I really have nothing more to say about the dishes other than they were lovely and rich and ones I hope to enjoy with my family again soon. 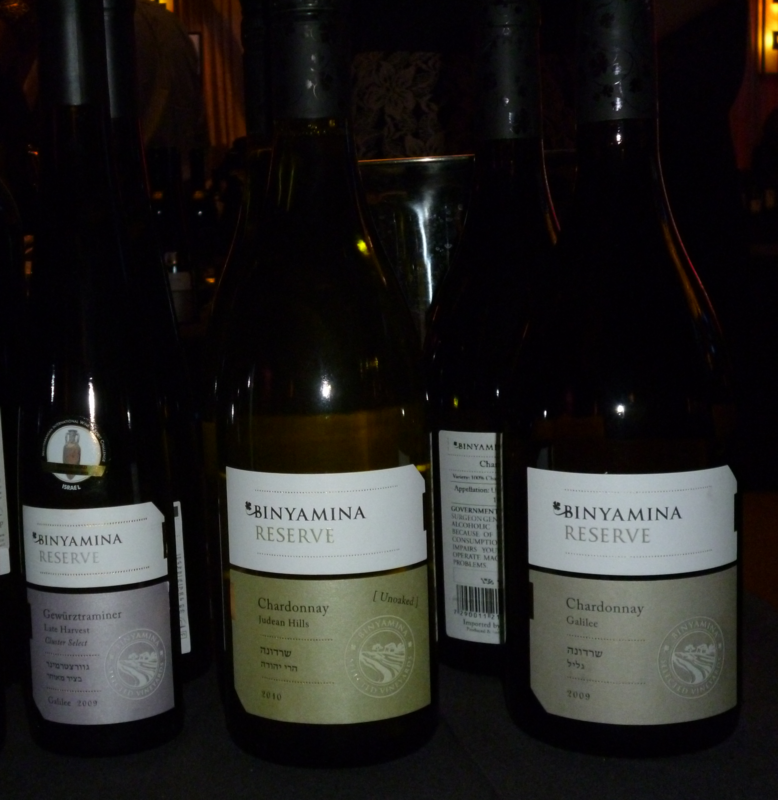 If the list of wines sound like wines you should avoid, please remember that I had to taste some of these – SAD!!! In the end, there are some nice ones in the list, but no clear and run away winners. They all have flaws, like we all do, and as such, no real winner. This wine is one made totally by the new winemaker at Ella Valley Winery, Lin Gold. She studied her craft at the University of Adelaide, and cut her teeth in her (professionally speaking) at both Tabor Winery and Chateau Golan. This is her first real vintage and it was exciting to see where the winery will be going. The Sauvignon Blanc was oak free as was in the past, and it was also green or herbal free, though that may have been more of a seasonal factor than a winemaker’s factor – time will tell. 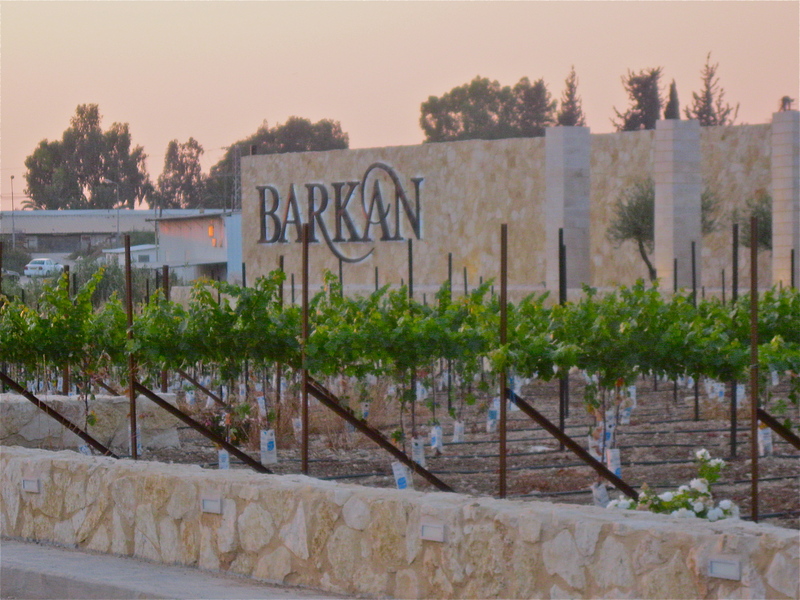 The Barkan Winery is one of the largest wineries in Israel; actually it is the second largest in Israel. 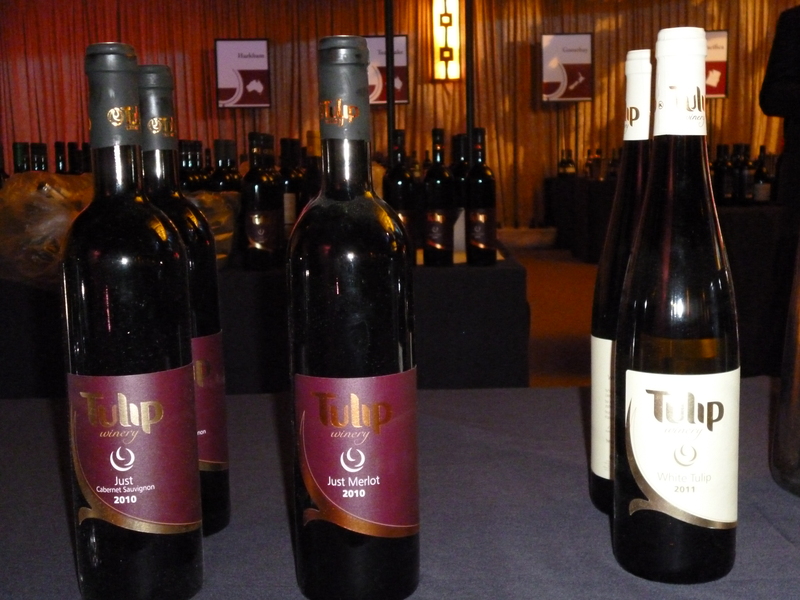 It is located in Kibbutz Hulda, where the vineyards that provide the grapes for the Classic range of wines surround it. 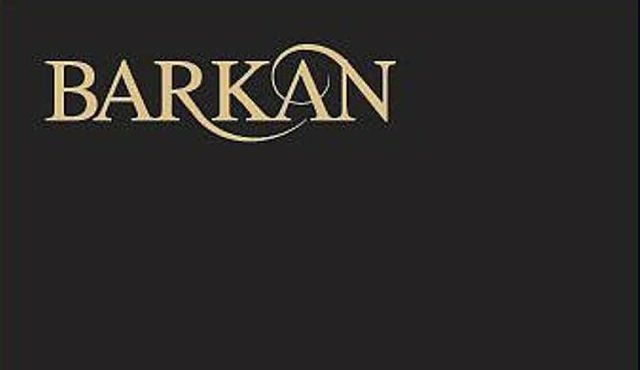 Barkan is one of those wineries that have been part of the latest Israeli Winery revolution, that being the modernization and quality improvement of the massive commercial wineries. The winery officially started in 1889 and did not start to get serious about quality wine until 1990, when Yair Lerner and Shmuel Boxer bought the winery that was clearly struggling and whose previous owners were playing hot potato with the winery assets and life. From 1889 till 1990, the winery had changed hands four times and was once again on the rocks and in need of experienced management and wine expertise. In 1988 the winery started construction of a new facility in the Barkan Industrial zone, near the city of Ariel, to replace the aging plants in Petach Tikva and Netanya. The first order of business for Boxer and Lerner was the modernization of the winery’s processes, winemaking abilities, and vineyards, which they saw as the key to the production of fine wine and expansion of the company. By 1999, it was clear that the Barkan facility was too small for the quantities of premium grapes that would be soon come on line from the newly planted vineyards. The most obvious location for the new winery was Kibbutz Hulda, where Barkan’s largest vineyard was located. Hulda is also centrally located, close to all the major arteries and enough removed from urban areas as well. The winery’s location allows the grapes to be quickly transported to the winery, to insure freshness and to maximize quality. In addition, the strategic location was optimal for distribution of the bottled wine to market. The new winery received its first harvest in 2000. The bottling line was moved to Hulda in 2003 and the offices were moved there in 2004. A large warehouse was completed in 2007, and with that last addition all of the Barkan Winery operations were officially moved to Kibbutz Hulda. Though this wonderful establishment is not a winery, since it has winery in its name, I will count it as my 12th article on wineries in the Judean Hills. Truly the simplest way to describe the Mamilla Hotel Winery is to call it for what it is; the only kosher wine bar in Israel! As sad as that sounds, at least there is one. 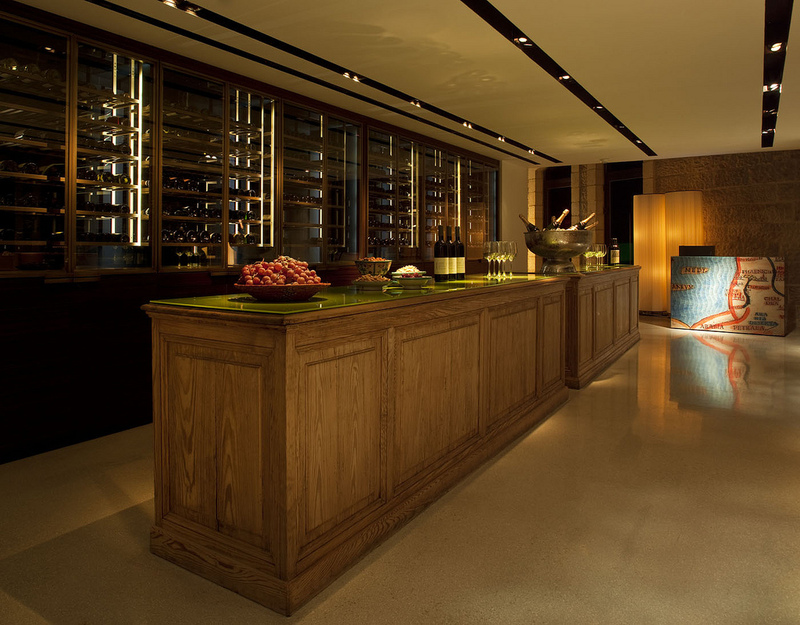 There are many wonderful wine bars in Israel, with many wonderful kosher wines, but they are not exclusively kosher, unlike the Mamilla Hotel Winery. I arrived early on my first trip to the wine bar. I like to do that so that I have the chance to take in the ambiance and since there were few patrons initially, it gave me the chance to talk with Hadas, the wine bartender. It turns out after talking with Hadas for sometime that she and her father are good friends or acquaintances of Alice Feiring, the Joan of Arc of all things natural and wine. 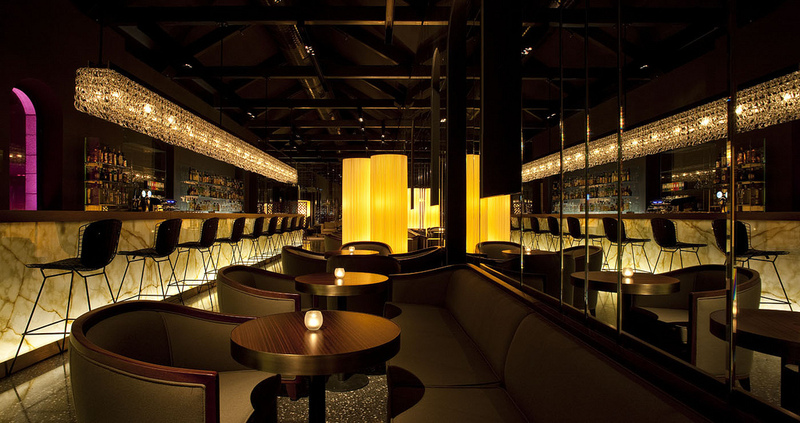 The wine bar is more a feeder for the larger bar and restaurant than a self-contained and sustainable system. It is a real shame as I found the selection and service at the wine bar to be top-notch. This past week everything we tried was a semi disaster. We were interested in trying a vegan meatball recipe that we saw on a newsletter from Whole Foods. My attempt of implementing the recipe was a semi disaster, with the meatballs not being able to keep structural integrity. I baked half of them, they could not even keep whole, when you touched them. The ones I braised in the tomato sauce essentially fell apart. To be fair, I added too many onions to the mix, so I take full blame. We tried to also make some risotto and even that was a semi mess. The risotto looked perfect Thursday night, but it died in the oven on Friday night. They all taste fine, it’s just that the integrity of the vegeballs and the risotto were messed up. To make matters worse the wine I chose was DAFM (Dead After Five Minutes). To be fair the wine is old and according to Daniel Rogov‘s book, it was to be drunk by 2010. The wine smelled and tasted lovely for five minutes, and after that is smelled like dark cherry and sweet dates, then a few minutes later there was nothing. I guess it was just one of those weekends! This wine is over, dead, it starts off great, but after 20+ minutes the wine dies. This wine is old and dead, but is alive for 20+ minutes out of the bottle, and then it ends quickly. The wine turns into sweet dates and dark cherry. The wine starts off in the following manner. The nose on this purple to black colored wine starts off with chocolate, tobacco, sweet cedar, blackberry, cassis, and herbs. The mouth on this medium to full bodied wine is rich with cassis, blackberry, raspberry, spice, and tobacco. The mid palate is weak with sweet cedar, black pepper, chocolate, and tobacco. The finish is medium long and spicy with sweet dates, tobacco, chocolate, sweet cedar, cassis, and vanilla. When the wine poops out, it tastes like dark cherry, tobacco, cedar, and dates. The weekend of February 18th, was the first one home in some time, so it was all about easy food and blessed relaxation. My wife whipped up her lovely lemon roasted chicken and I pulled out some chicken soup, that I had whipped up before I left, from the freezer. Chicken soup freezes really well, but be wary about which vegetables you choose to freeze with the broth. Some vegetables do not mind freezing, like carrots and sweet potato, however turnips and zucchini do not fare nearly as well. Also, while chicken soup does well in the freezer, it is all about what technology you use to freeze the soup. In one word – air – is your enemy. So, the simplest and least expensive method I have found for freezing is to use freezer bags, from your favorite brand, and fill them up with the soup, making sure to get out every drop of air, while being mindful to not make a massive mess. This method has worked great for us, and we put the bag in a tupperware and such, to give the bag extra support, and protection from protruding metal and other hard surfaces, that would like to puncture the bag’s outer shell. To pair with soup and chicken I went looking for some nice wine and took out a bottle of the 2007 Binyamina Yogev Cabernet/Shiraz, which I bought last year during the Passover sales. Let me just say two words – DRINK UP!!! The bottle I opened was DOA (Dead on Arrival), which was a real shame. Clearly oxidized, without a nick or flaw to be found on the cork, so clearly a bad bottle, and down the drain it went. I then moved on to another Israeli 2007 bottle, and found a 2007 Barkan Classic Petite Syrah, also acquired last year during the Passover sales. This one was a bit more alive, but clearly on its way down. At least this bottle has an excuse of having been mevushal before bottling. In the end, no real winners were found in liquid form this weekend, other than the wonderful chicken soup, which was really all I needed! This is a nice and lively wine with rich blackberry, black cherry, kirshe cherry, and smoke on the nose and mouth, along with a now soft mouth feel. The wine is also starting to exhibit some cooked fruit flavors so drink up!!! This past Purim my friends and I enjoyed a wonderful meal at the synagogue, along with a few wines that I brought along, and a couple of wines that were brought by some other congregants. 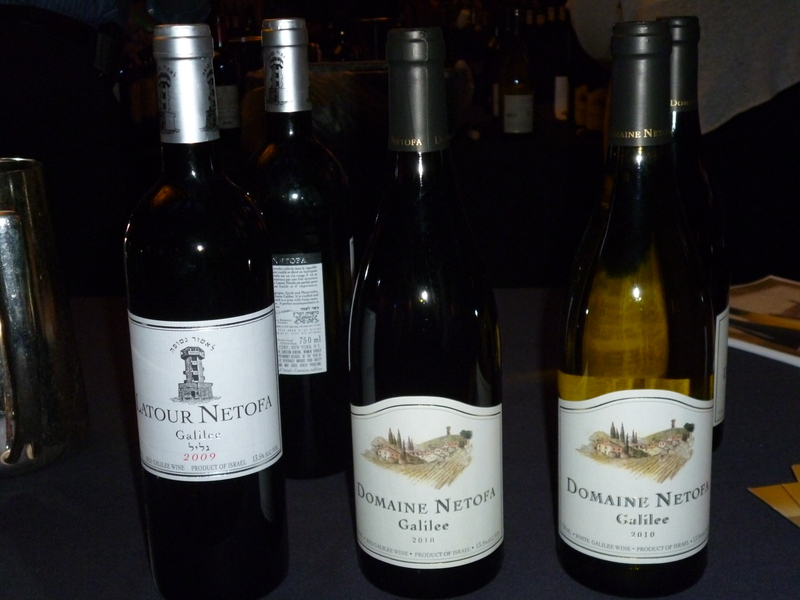 Some of the wines I tasted have notes, while others have just feelings or memories, sorry, this was Purim after all. My friends still give me a hard time for the one time that I actually took notes on Purim. To me, tasting wine is about friends, memories, along with a bit of a job. To others, especially on Purim, it is about friends, memories, and a bit of a buzz. This is a wine that I brought back from my last trip to Israel, one that I bought during my visit to the Tzuba Winery. The nose on this dark garnet to black colored wine shows rich loamy dirt, bright oxidation, rich spicy oak, ripe fig, blackberry, and spice. The mouth on this full-bodied and mouth filling wine, starts with a concentrated attack of spicy oak, rich sweet and ripe blackberry, and fig. The wine is layered and concentrated with ripe fruit and spicy oak, yes I repeated that because it is so nice. The mid palate is filled with nice acidity, integrated yet still gripping tannins, and spice that flows into a lush loam and oak forest. The finish is crazy long with rich chocolate, oak, mounds of spice, rich and ripe black fruit, and a lingering palate of oak extraction, spice, and more black fruit. A nice bottle that can handle just about any sweet desert you throw at it. Well, we tasted the larger format of this bottle last week and this week we opened the 375 ml size, which was the originally released format. We still loved it and it is still drinking really well, though the color throws you and the flavor is a bit dingy, the rest of the wines notes are exactly as the previous tasting, and listed here. The color on this brown tinged/dark ruby colored wine, was hopping with chicken cherry cola, coffee, mature oak, fig, and raspberry. The mouth on this intense and full-bodied wine was layered with bright black cherry, coffee, and oak. The mid palate was bracing with bright acidity and oak. The finish was long and tantalizing with more cherry, oak, and coffee, layered under a canopy of mature flavors. This is clearly a wine that needs to be consumed now, but to some, this was one of the winners, which was shocking given the list of wines we enjoyed. The wine was OK, but it had a huge hole in the middle with almost no acidity to be found. It was OK, but uni-dimensional with almost no fruit and a bit of oak. Not fun. Yummy, fruity, acidic, rich, with black fruit showing well from the Cabernet, while standing tall with enough oak and tannins from the Syrah. Nice and one that is probably at or close to its peak. I remember loving it that night for its classic Hagafen soft yet layered mouth feel, along with rich and ripe black fruit and chocolate. This is a nice and lively wine with rich blackberry and smoke on the nose and mouth, along with a firm and structured mouth feel that allows the wine to stand up to meat and rich sauces. A nice and simple wine that is enjoyable by all. The nose on this bright purple colored wine is packed with loamy dirt, mineral, rich black cherry, mulberry fruit, spice, vanilla, oak, and pepper. The mouth on this medium bodied wine is rich and spicy though not complex in nature, along with mulberry, Kirsch cherry, and a hint of strawberry. The mid palate is bracing and almost tart with code acidity, nice soft yielding tannins, spice, and dirt. The finish is long with layers of smoke and spice, along with red fruit, and a nice dollop of vanilla. A nice wine for the price, quality, and its mevushal status. The nose on this wine moved from being bright and red to rich and chocolate. Not a bad wine, but one that did not live up to my hopes for it. The tannins were nice and helped to highlight the soft mouth, bright acidity, and red fruit. With air the fruit disappeared, the mouth was still bright but turning fast, and the finish was packed with chocolate and vanilla. I guess it is an OK wine, but drink up fast, and not a wine worth its cost.